The demands of daily life hardly give us time to sit down and eat a proper meal. But breakfast, being the very first meal of the day, is important to keep us up and about. Thankfully, Quaker Flavored Oats is a quick and delicious solution! Have a great bowl in an instant, by simply adding hot water to your flavored oats. Give Chocolate a try, surprise yourself with Fruits & Nuts, or go bananas with Banana Bites! Enjoy delicious instant goodness, and add flavor to your day! So, what’s stopping you? 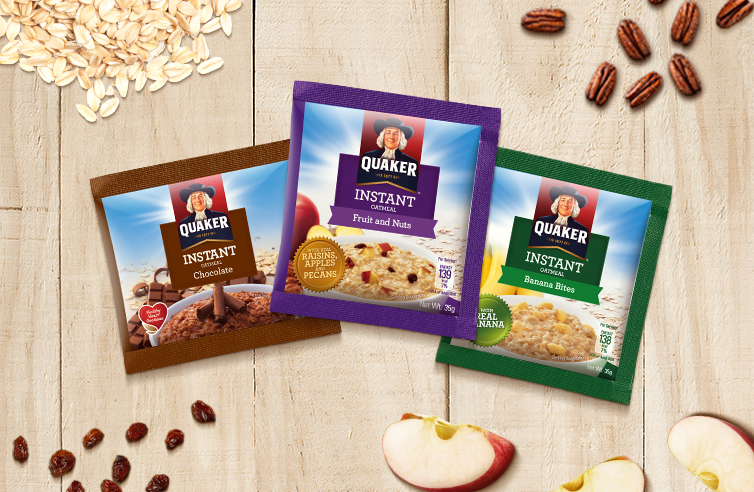 Give our instant flavored oats a try! Grab any of the Quaker Flavored Oats out there now!